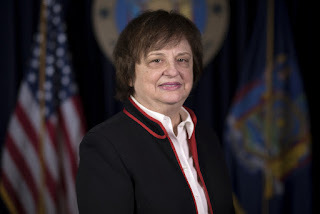 ROCHESTER, N.Y. -- Attorney General Barbara D. Underwood announced today a court win for New York consumers against Rochester-based home improvement contracting business A-S Contracting, and their operators Alvis Sprague and Sarah Crawford. Monroe County Supreme Court ordered Sprague and Crawford to pay $52,501 in restitution to consumers and $50,150 in penalties and costs, and completely banned both Sprague and Crawford from working in the home improvement contracting business in New York State; the order will apply to Sprague and Crawford personally and follow them permanently – even if they use a difference business name. The court also issued a permanent injunction against Sprague and Crawford, banning both from taking deposits for any kind of work until they post $100,000 bond. "Consumers deserve the services for which they pay. The court order we secured will ensure consumers get the restitution they deserve, while permanently banning these scammers from the home improvement contracting business in New York," said Attorney General Underwood. "We will continue to hold accountable those who try to deceive New Yorkers." Additional information on how to avoid fraudulent home improvement contractors can be found on the Attorney General's website. Consumers who have not already filed a complaint with the Attorney General's office and believe they may have been defrauded by A-S Contracting should call the Rochester Regional Office's Consumer Helpline at (585) 327-3240 or complete a complaint form online. If you are eligible to receive restitution as part of this case, your complaint form and supporting documents, such as a copy of the contract and canceled checks, must be postmarked or received by the Attorney General's Rochester office on or before November 9, 2018. The case is being handled by Assistant Attorney General Benjamin A. Bruce. The investigation was handled by Investigator Jessica Holland and Senior Consumer Frauds Representative Emily Brightman of the Rochester Regional Office, which is led by Assistant Attorney General-in-Charge Ted O'Brien. The Rochester Regional Office is a part of the Division of Regional Affairs, led by Acting Executive Deputy Attorney General for Regional Affairs Gary Brown.